Crime hotspots in South Africa and signs to look out for in a recent article by Business Tech. “The second annual State of Urban Safety Report by the Urban Safety Reference Group and the South Africa Cities Network has put extensive research into the factors that play a big role in making an area a crime hotspot. 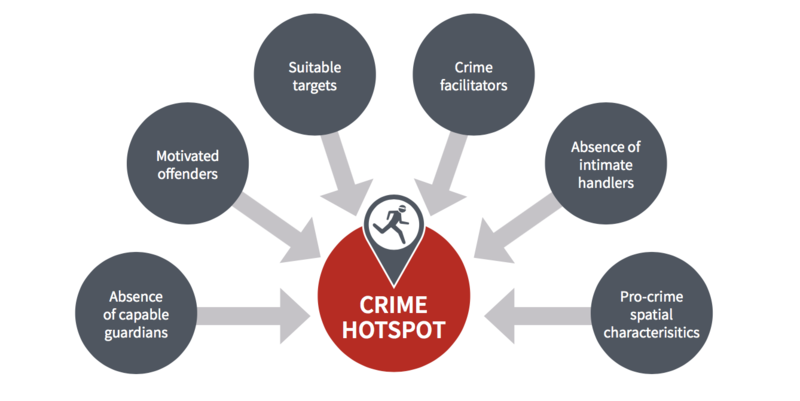 Beyond breaking down the crime statistics in a more municipally relevant format, the report aims to help governments and city planners better understand the nature of crime and has put a lot of research into the nature of ‘crime hotspots’. According to the USRG, city-level data can often mask the stark differences in crime and violence between different areas or neighbourhoods within cities. Hillbrow in the City of Johannesburg. A low-income community with significant levels of violent crime, including gang and gun violence (Philippi East). A high-density inner-city neighbourhood with high levels of crime (Hillbrow). A densely populated township on the periphery of the city with excessive crime levels (KwaMashu). Crime hotspots differ in the extreme from the general reporting of criminal activity and the reported fear of crime. Specifically, reported cases of crime can be multiple times larger than the ‘overall’ picture painted by conventional crime data. For example, Cape Town is known as the most violent city in the country with a murder rate of 62 per 100,000 population – but in the ‘hotspot’ area of Philippi East, the murder rate shoots up to 217 per 100,000. Similarly the murder rate in Hillbrow is more than double the Joburg average, and KwaMashu’s is three times higher than the average in eThekwini. Similar discrepancies are seen in assault, robbery and property crime. What the researchers found was that all areas had far above-average population density, and high levels of informal housing. In Hillbrow, where informal housing levels were lower, instances of property-related crime were higher. Unemployment rates are also higher than average – and in Hillbrow, where unemployment levels are relatively lower, the doors are open to both licit and illicit trade. Experience and fear of crime is also substantially higher among residents, with the USRG finding from its surveys and interviews that crime is a constant topic of conversation, and nearly all residents across the three areas feeling like crime was getting worse. While the residents of these extreme areas are exposed to criminal elements, it does not necessarily mean they are most targeted victims. “Crime largely affects individuals in the middle of the income distribution of the sample, and this is true for crime in each city. However, this does not mean that crime predominantly affects the whole middle class,” the USRG said. This means that individuals with very low levels of income are less likely to be victims of crime, probably because they are less desirable targets for property crime – and individuals and households that have very high levels of income are better able to protect themselves against crime (e.g. have sophisticated armed response systems) and are less likely to frequent areas most affected by crime. Absence of a ‘capable guardian’: No person or persons whose presence could deter potential criminal activity – that includes a lack of policing or surveillance, no private security, neighbourhood watch members or even active community members. Presence of motivated offenders: People who are actively looking to commit crime (thieves, robbers, rapists, etc). Many suitable targets: People who are at significant risk of becoming victims of crime – the elderly, people living alone, women, as well as individuals are intoxicated or unobservant. Crime facilitators: Easy access to weapons, and transportation used in crimes. Absence of ‘intimidation handlers’: No person or persons who can control the actions of would-be offenders. These could be friends or family or partners, or an active community to intervene. Contact Xpanda Security for more information on security solutions tailored to your specific needs.